« File this under the “things that should never go missing” category! The aggregate industry has plowed it’s way into Texas’ natural limestone and water resources for many years. Stretching from Uvalde to just north of Comal County, there are over 93,000 acres of aggregate industry operations. 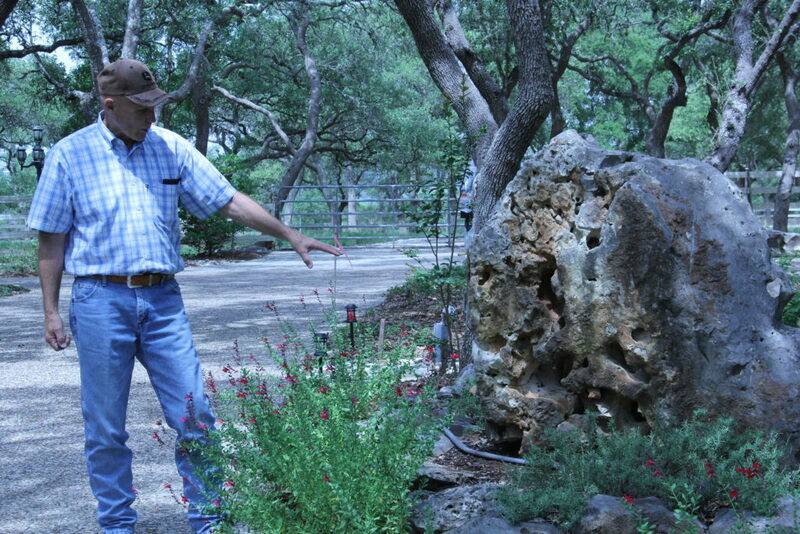 The Hill Country is the source of 80% of all limestone quarried in Texas. Aptly named “Quarry Row”, stretching along the I-35 corridor, Comal County alone has 40,000 acres of the aggregate operations, including a string of quarries circling New Braunfels. 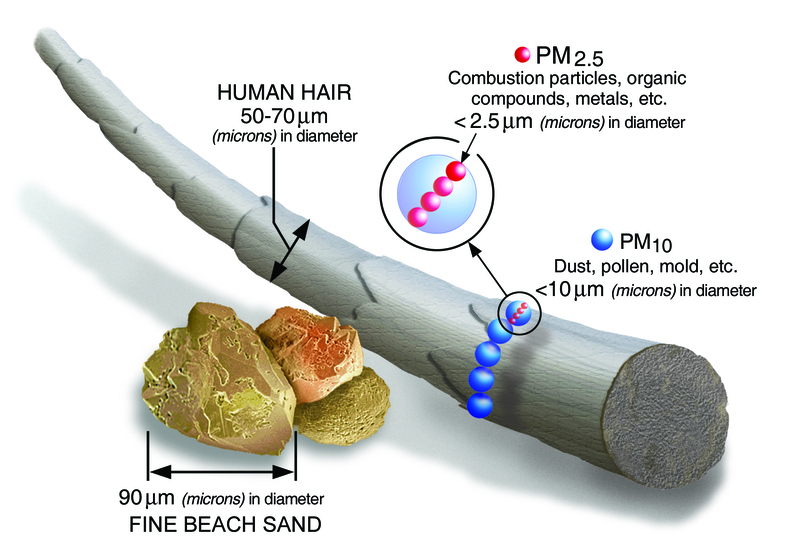 Limestone quarrying, crushing, and cement manufacturing creates air pollution such as particulate matter (PM). PM can be a danger to the region if continued to be left unregulated and unmonitored. What is being released by the crushing activity and the processing of this material is particulate matter called, “Crystalline Silica”, which can cause silicosis and other health risks. “Generally, PM comprises two kinds of microscopic particles, mineral (silica and other minerals from rock processing), and hydrocarbon and soot from diesel exhaust of industrial equipment and trucks that are heavily utilized in the quarrying industry. PM is classified into size ranges. The PM of interest in terms of health risks are those that are very small, invisible to the naked eye, and are referred to as PM2.5 and PM10. PM2.5 comprises particles ~2.5 micrometers in size, PM10 comprises particles ~10 micrometers in size. PM2.5 and PM10 are invisible to the naked eye, and are easily carried in wind currents, can remain airborne for long periods of time, and can be carried up to 30 miles (PM10) or hundreds of miles (PM2.5) from the source” says Dr. R Keith Randolph a local resident of the Hill Country. Health effects from exposure could include coughing, shortness of breath, tightness in the chest and irritation of the eyes from short-term exposure. However, long-term exposure can result in reduced lung function, and respiratory diseases such as asthma, chronic obstructive pulmonary, autoimmune disease, and mortality. The TCEQ is responsible for monitoring air quality, but their focus has been on ozone. With the aggregate industry growth, the TCEQ has not kept pace with environmental monitoring or best management practices for PM 10/PM 2.5 emissions in plant operations. Currently, the TCEQ only requires applicants to meet standards that were developed in 2008. Notwithstanding that this 2008 methodology is outdated, it also does not incorporate current federal Clean Air Act and Environmental Protection Agency requirements. For instance, in 2008 the EPA did not have standards for airborne particulate matter smaller than 10 microns (“PM10 emissions”) so the standard permit adopted by TCEQ in 2008 relied on air quality modeling related only to PM10 emissions. But although subsequent EPA regulations do address the smaller “PM2.5 emissions” when measuring and modeling potential air pollutants from a rock crusher facility, TCEQ has not incorporated the PM2.5 requirements. Like ozone, the TCEQ is responsible for local air monitors for PM10 and PM 2.5. At present there is no PM monitoring in the Hill Country, which is exactly what the aggregate industry is counting on. How can the TCEQ monitor and regulate when they don’t have air monitors in place to do so? In this scenario, the proposed quarry will crush 800 tons per hour or 1,500,000 tons per year and Vulcan will self regulate the amount of PM released as well as perform its own opacity tests. The cumulative effect on public health due to quarry air pollution in the region greatly worries local residents along with serious doubts that TCEQ will properly monitor or regulate the site. 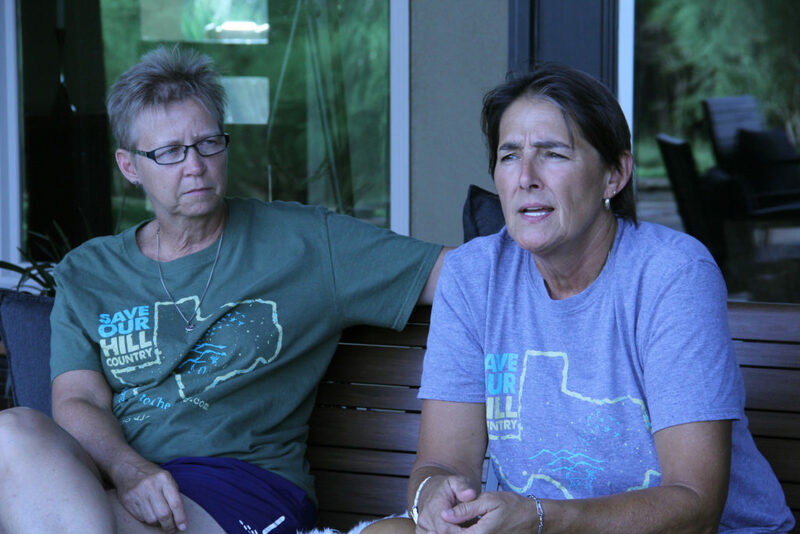 Liz James bought her property in 1996, and moved to the Hill Country in 2004. It had always been her dream to retire in the country next to her best friend, Milann. Liz lives across from the proposed Vulcan Quarry and her home would be 400 feet away from the entrance. Liz says she worries for her health and for the health of her 97 year old grandmother who has heart issues and lives with her. Milann Guckian who lives next to Liz on the same ranch says what concerns her the most is “the dust that you can’t see, the particulate matter causes a litany of health problems…we call it ‘this generations asbestos’, because it is not out there being regulated yet and you know how long it took for asbestos to be regulated.“ Milann says that the Vulcan quarry is driving her out of her home, but that she will fight the quarry from becoming a reality as long as she can. Don Everingham, another resident of Comal County and a retired engineer, has worked as a heavy equipment support engineer and custom engineering design consultant in several countries. He is a concerned citizen, who is also opposed to the Vulcan Quarry. “Essentially, placing this open pit industrial mine in the middle of a residential area of over 12,000 residents within a 5-mile radius, is like helicoptering in a “carcinogenic generating industrial complex”, states Everingham. While the TCEQ has stated in public meetings that the limestone in the area runs between 3-6% crystalline silica, Vulcan has claimed publicly that the limestone quarried here will not exceed 2.0%. Adding further insult to injury, TCEQ only requires modeling and air quality measurements from the dust generated from the crusher activity being permitted. “First of all, just to get this material to the crusher, it has be blasted, broken lose, then loaded by ground engaging equipment and brought to the crusher – those massive dust generating activities are not even considered in air permitting applications or modeling. The dust that is generated from those activities can be four to five times more than what the crusher will actually generate or be documented as crystalline silica particular material, (PM 10 <), a well known carcinogenic material. Just one reason why open pit aggregate mining should not only be monitored, but also modeled based on continuous air sampling of how much silica containing dust will actually be generated”, states Everingham. 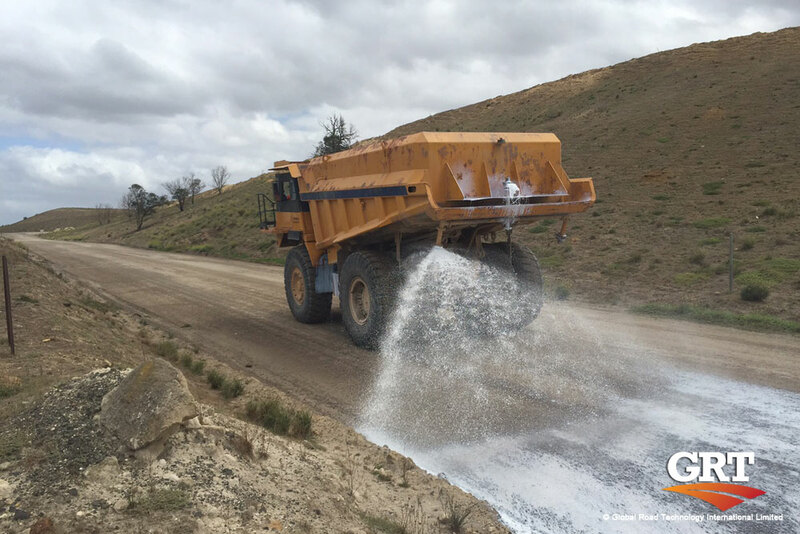 Everingham generally sees monitors encircling all types of open pit surface mining operations, including monitors located in the mining site where the equipment actually creates crystalline silica materials and other contributing dust materials. TCEQ aggregate regulations do not require these types of monitors and current regulation allows companies to self monitor using very outdated methodologies. TCEQ has also publicly told residents that all crystalline silica dust and supporting dust materials in the mine settle out within 400 feet of the crusher. “If that were true, then how would we be experiencing the recent Saharan dust event? It is well documented by NOAA and NASA Studies that crystalline silica was picked up by the wind and carried for 5,000 miles, thus causing the haze you can see and health problems for those with lung sensitivities or other breathing issues.” states Everingham. When it comes to aggregate mining operations, TCEQ obliges the industry by stating that no ‘visible emissions shall leave the property’ thus no fence line monitoring is required. Everingham advises third party monitoring at the site, including fence line monitoring with wind pattern data used to properly locate the monitors, so the dust being moved can be accounted for and properly documented. This should be a high priority for TCEQ. There is no monitoring of operations of water usage at quarry sites by TCEQ. Without monitoring, the vital recharge zone of Edwards Aquifer and supply of Trinity aquifer could be in peril. Everingham says a big concern is the karst geology of the hill country with these quarry operations, “What they are doing in the entire Edwards Escarpment is that they are removing the cap rock and the cap rock is actually a protective layer over the aquifer and if you remove that, then what you are doing is opening up a geology. Here is a karst geology, a cavernous material, which is opening up the filtration system for the aquifer, you now are allowing containment materials, biological materials, to go directly into the aquifer.” The aggregate industry in Texas does not require reclaiming of the land, therefore, once this is done, the water supply will remain vulnerable. Further contamination could derive from the shifting of the Balcones Fault which runs right up through the middle of the proposed Vulcan aggregate mine. If the fault were to shift from blasting, you would have a higher risk not just contaminating but changing the pattern of commingling of the two waters of the Trinity and the Edwards Aquifer. In spite of the obvious air quality issues, even more concerning to Hill Country residents, especially in unincorporated areas, is the high probability that their water wells will be pumped dry. According to a recent article by Kdhnews, this years lack of rainfall is already affecting residents’ wells. Some have gone dry, and are having to drill deeper and deeper for water. 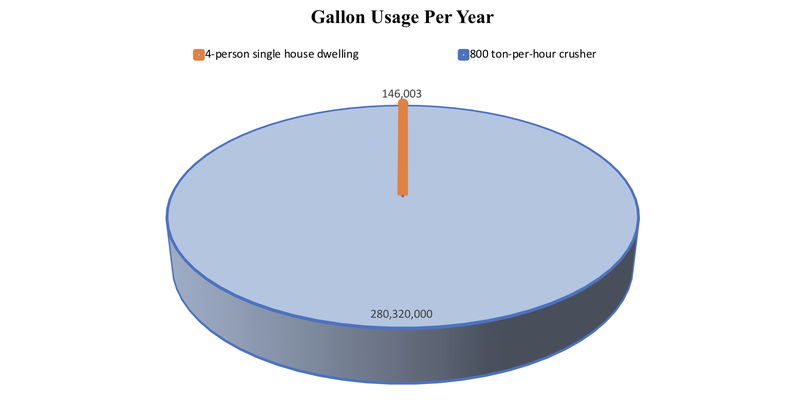 Graphically, the annual water usage by a quarry crusher only (280,320,000 gallons) in comparison to a 4- person household (146,003) only highlights the magnitude of water usage. While the losses are yet to be fully realized in Comal County, there are several studies suggesting that properties within a 5-mile radius can lose 20-30% in property valuation. The most commonly cited study by Hite (2006) provided a model for predicting the loss in property value of rural homes located within 4 miles of an industrial-scale earth-extracting operation, such as a gravel pit or rock quarry. 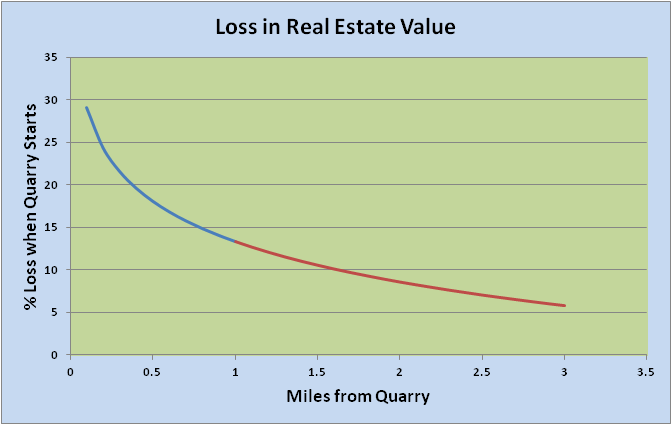 The figure below displays the average effect of distance from a gravel pit on home value reductions. As might be expected, the closer the property, the greater is value loss, as reflected in its sale price upon property transfer. Hite and her colleagues found that on average, after establishment of an open earth extraction operation, residents selling homes located within a mile of that operation suffered a punishing 15-20% loss in final purchase income compared with occupants of ‘comps’ located beyond 5 miles. 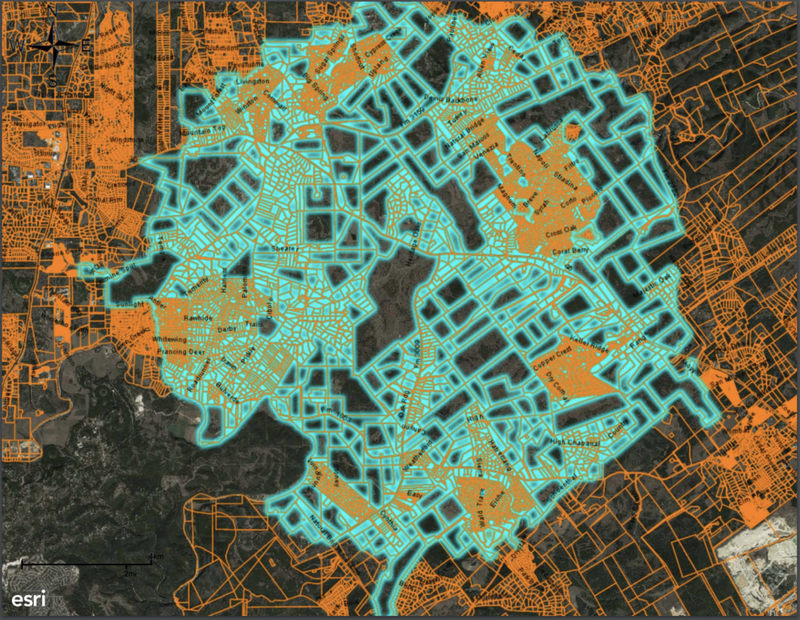 On average, compared with such distance comps, homes between 1-2 miled endured a nearly 9% reduction, while owners located 2-3 mile away experienced a 5-8% relative loss in value. The Hill Country is comprised of the Edwards Plateau, Llano Uplift, and Balcones Escarpment. It is home of Natural Bridge Caverns, the largest known commercial cavern in Texas and the Bracken Bat Cave, which hosts an estimated 20 million Mexican Free-tailed Bats, the largest population in the world. Development near these structures upsets the stability of the natural formations as well as the species that inhabit them. Comal County already has several endangered or threatened species. For instance, there are seven federally listed endangered species in the county including the Comal Springs Dryopid Beetle (Stygoparnus comalensis) and the Comal Springs Riffle Beetle (Heterelmis comalensis); one crustacean, Peck’s Cave Amphipod (Stygobromus pecki); one fish, the Fountain Darter (Etheostoma fonticola); and three birds, the golden-cheeked warbler (Dendroica chrysoparia), black-capped vireo (Vireo atricapilla), and whooping crane (Grus americana). Water quality. 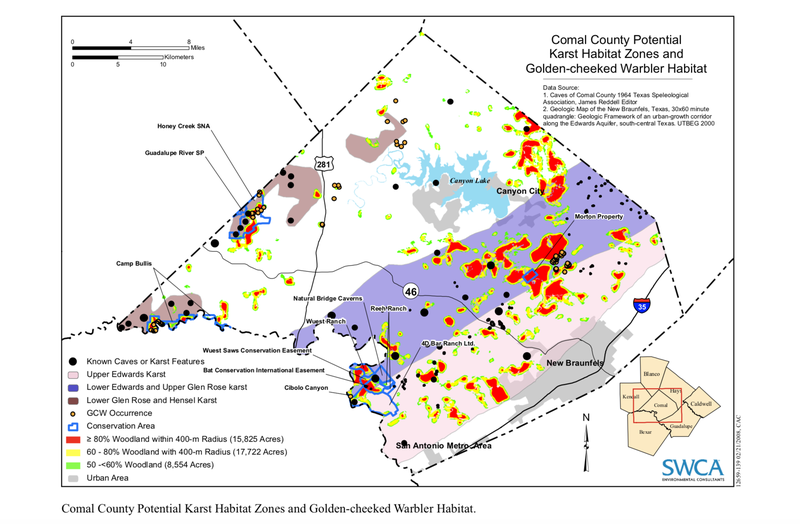 Protecting Golden-cheeked Warbler habitat also protects critical drainage and recharge zones for the Edwards Aquifer. Air quality. The juniper-oak woodlands serve as air filters for the area and reduce carbon dioxide while increasing oxygen content. An acre of trees on average absorb the same amount of carbon dioxide produced from driving a car 26,000 miles, and releases over 2000 pounds of oxygen! Recreational income. 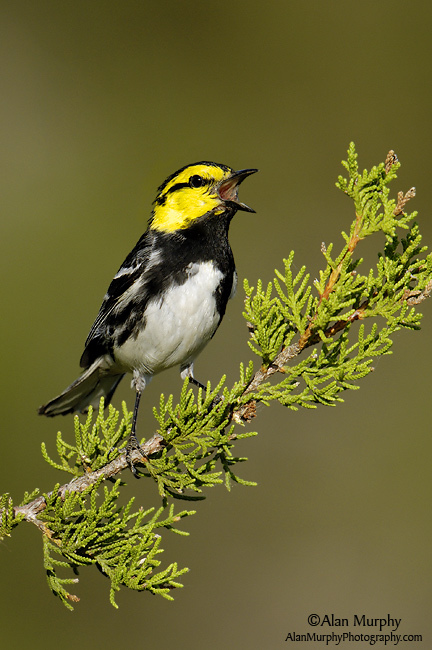 The Golden-cheeked Warbler attracts birders – and bird and nature watchers contribute an estimated $300 million to the Texas economy annually. Texas heritage. The Golden-cheeked Warbler is an iconic part the Texas landscape. Protecting the bird and its habitat leaves a legacy for generations to come. 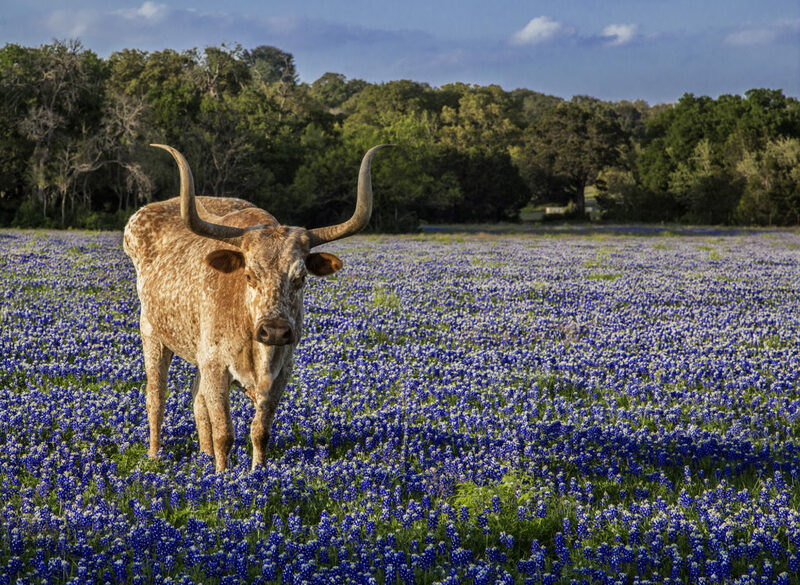 In order to preserve the hill country, you must remember all who call it home. The aggregate industry does not seemed concerned about the loss of habitats of vital species in the heart of Texas. 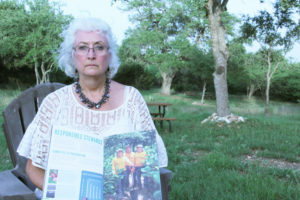 Sabrina Houser, a member of Stop 3009 Vulcan Quarry, sits holding a pamphlet mailed to the residents of comal county by Vulcan. The article she has open is titled “Responsible Stewards” and details the company’s attention and care to the areas they operate in. “Most recently, Vulcan has been espousing to contractors and vendors that they will be turning over dirt by August 2018. Vulcan has NOT engaged with the community nor affected residents in any way. They plan to ‘bulldoze’ their way through Comal County. If I were you, I would be asking if that is a sign of a ‘good neighbor’ that they espouse that they are going to be?” said Houser. Vulcan like many in the aggregate industry here in Texas is vastly unregulated. This is compared to other industries in Texas such as metal mining and as compared to the aggregate industry in other states. Industrial aggregate mining, (Quarry operations), tend to last long term. In this scenario, there is a proposed 80 year life-span in which the air and water quality will be affected long-term. In Texas, aggregate mining operators are not required to perform Environmental Impact Reviews (EIR) nor engage in reclamation efforts. California Colorado, Wyoming require EIRs, and many more states do require that all reasonable measures shall be taken to eliminate damages to members of the public, their real and personal property, public roads, streams and all other public property from soil erosion, rolling stones and overburden, water pollution and hazards dangerous to life and property. After the Vulcan quarry shuts down operations, Comal County will no longer host scenic vistas at this site, but endure large gaping holes that tend to fill with debris and surface water. During the mining process, water must be emptied, but after the mining operation has been abandoned, groundwater is allowed to seep in, and rainwater collects in the quarry. Often known as ‘quarry lakes’, the water’s striking blue or green color is caused by the limestone rocks surrounding the quarry. 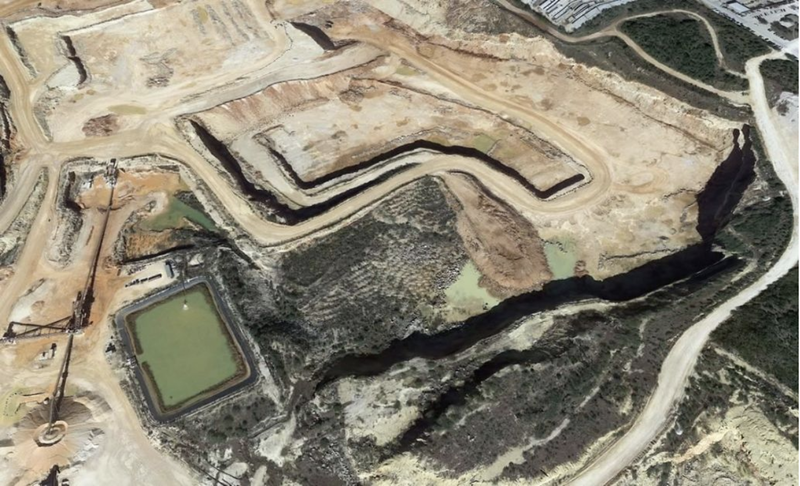 The quarry is so toxic the government won’t allow the water to be drained for fear of pollution, but can’t impose any other restrictions because it resides on private land. In fact, aggregate operations in Texas are so ill monitored, that in comparison to other states and other open pit mining operations in Texas, the aggregate industry appears to an open ‘hall pass’ to siphon off the State’s natural sources with great profits at the expense of everyone and everything else. 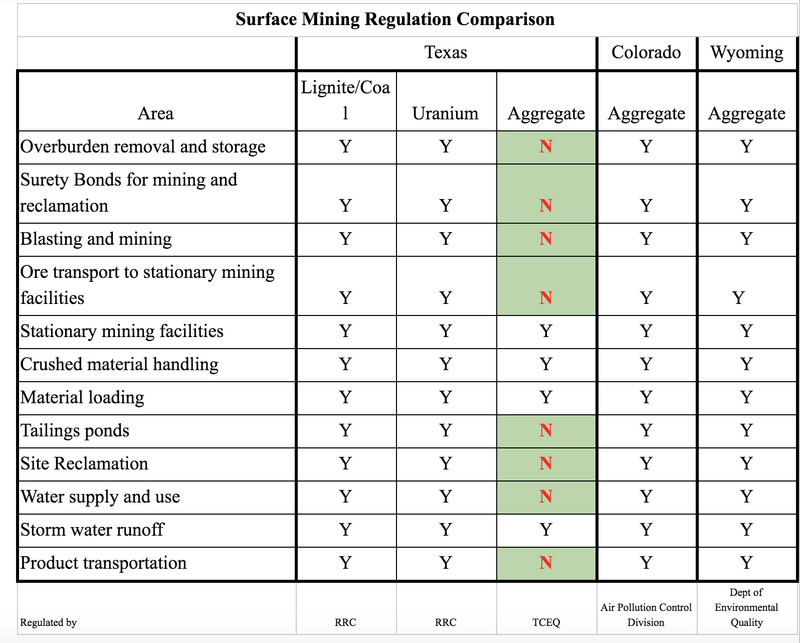 The chart below gives a brief overview of how TCEQ aggregate mining stacks up to other states as well as other open pit mining operations such as uranium and lignite. 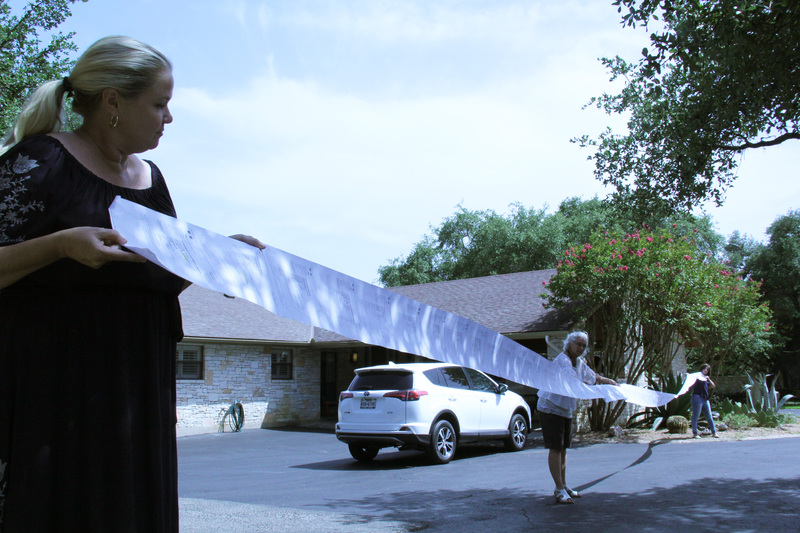 In the photo above, Tony D’Angelo Lott, vice president of Boerne to Bergheim Coalition for a Clean Environment holds out a 60-foot long string of violations committed by Vulcan just in Bexar County alone. Vulcan has conveyed that they will have a limited impact on the hill country, yet Lott states, “What we have found is that this industry for some reason has gotten under the radar. I think people don’t realize that it is not benign.” Lott is currently fighting a proposed Vulcan concrete batch plant that would go up next the montessori school that her son attends. TCEQ is currently in the process of reviewing and responding to all verbal and written comments that were submitted on or before February 27, 2018. Responses to written comments and a TCEQ decision are anticipated summer of 2018. Upon issuance of NAPD, the applicant (Vulcan) must post in local newspaper and everyone who filed comment online and/or spoke at public meeting will receive copy of RTC and NAPD in the mail. The NAPD will provide an option for a “hearing request” or Contested Case Hearing. The public has 30 days to file a request for a Contested Case Hearing and submit comments to be named as an “Affected Person”.